Pogonophobia is the fear of beards. The objective behind this student project was to create a zine about any phobia of our choosing. Pogonophobia struck me as an interesting phobia in which I did not know existed prior to this project. 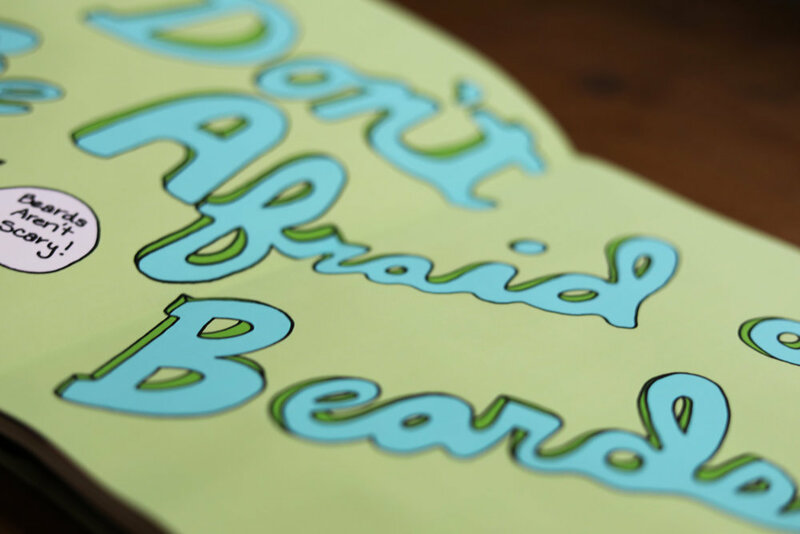 The purpose of the zine is to help children overcome their fear of beards by making their experience interactive, colorful and friendly. 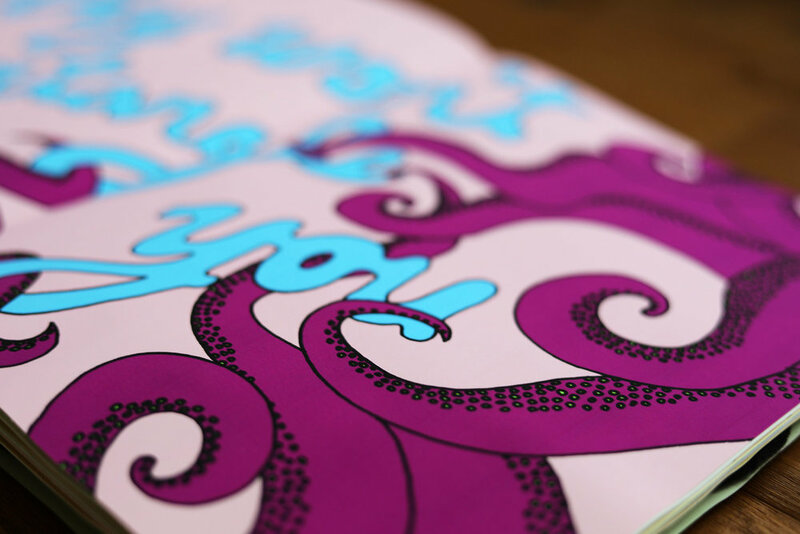 Each spread is hand drawn and uses bright, engaging colors. To encourage a positive interactive experience, children have the ability to stick silly objects to an illustrated velcro beard. As a fun take-away, a wearable beard is attached to the last page so readers can experience the silliness of wearing a beard. Through the use of colorful, inviting, and interactive pages, the child can see the silly side of beards. This project was awarded Best InShow Student Award at the AIGA InShow in West Columbia, SC on November 2011.